Today is HUMP day! 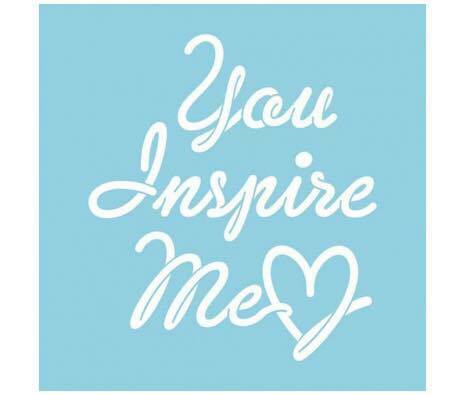 I wanted you to know that no matter where you are or what you are doing or what you think of yourself, you are an inspiration to ME! For some, that may not mean much but I am sure that there is someone out there that needs to hear those words. I am sure that I am not alone in playing the comparison game…..
You go to the gym with a goal – say walking 2 miles on the treadmill. You get there and all of them are full EXCEPT the one next to where someone is running 10 miles uphill. In that moment, do you feel like you are wasting your time at the gym. Have you almost walked out of the gym or worse yet tried to copy what that person was doing. YIKES! The truth is, you need to CELEBRATE how awesome you are for the progress you are making. No matter how small a step it may be for you, it is one step more than someone else is taking. Growing up there was always that “keeping up with the Jones” mentality in our neighborhood. As if having the same “stuff” or doing the same things were going to make anyone like you any more. The PTA mom who is always dressed to the hilt and has mega time to “organize” successfully anything she says that she will do. The mom whose house is spotless despite being a working mom. They all seem to have it together, right? I know, this is easier said than done, right? The truth is that unless you’re having a competition with a friendly wager, your personal progress is 100% independent from the rest of the world and the people in it. I am not saying that you can’t use them as inspiration of where you want to be or what your goal is BUT what I am saying is that they should not threaten your sense of satisfaction in the progress you’ve made or are making. Yes, we have all heard this saying right? Whether it is on a weight loss journey, building a business or running a household, right? It is pretty common to be envious of others and want to use that as a motivator. The truth is that this “negative motivation” is mentally draining and relatively ineffective. Remember the Law of Attraction, right?Amazing progress is more about consistent effort and NOT emotional pain. Acknowledge your progress, CELEBRATE it no matter how small. Steps towards your goal no matter how small is one step closer to it. Maybe you can’t run the 10 miles on the treadmill but you can jog 2 miles, that is a step forward. Maybe your house is not spotless but it is neat and feels like home to those who visit. CELEBRATE those things and revel in the positive energy that it creates in your life. There will always be someone who is further along the path than you are in every area of your life. You are making changes in your life that is your personal progress. You don’t know what their journey has been to get to where they are. They may have reached their goal after years of hard work while you are just starting your journey. Each person’s story is different. We are the choices we make so do you choose to compare yourself to someone else OR are you ready to write your own story? The only person you have to measure up to is the person you were yesterday. If you can beat that person, trust me, you’re doing very well.